As African countries pursue industrialization, the Chinese-built industrial parks and free trade zones have been gaining momentum in the socio-economic drive of the continent, some significantly accelerating the process of industrialization and job creation. After failing to find a job related to her major for more than a year, Tsegaye was finally employed by the Huajian Shoe Factory in the the Eastern Industrial Zone. "The factory mainly produces women's shoes, which interested me," Tsegaye told Xinhua. Tsegaye said she is "very grateful" for the Chinese companies that provided her and other youth with jobs. 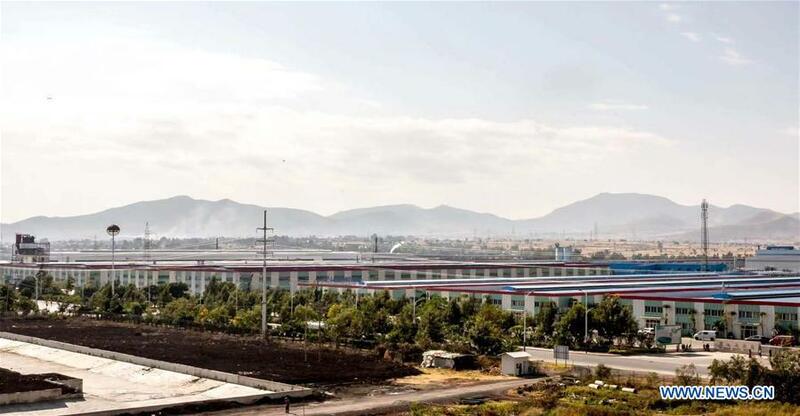 Located about 40 km south of Addis Ababa, the Eastern Industrial Zone (EIZ), built and operated by Chinese companies, is widely viewed as the benchmark for the development of industrial parks in Ethiopia. Earlier this month, upon invitation by Ethiopian Prime Minister Abiy Ahmed, Djibouti's President Ismail Omar Guelleh and Sudanese President Omar al-Bashir traveled to Ethiopia's western town of Jimma, where the three leaders inaugurated the Chinese-built Jimma Industrial Park, some 350 km west of capital Addis Ababa. At the ceremony, Ahmed said the park would help with the industrialization process of Western Ethiopia and create a large number of jobs for young Ethiopians. According to Ethiopia's Industrial Parks Development Corporation (IPDC), the park, once fully operational, will create some 12,000 direct jobs for Ethiopians. The EIZ, Ethiopia's first industrial zone, has provided more than 10,000 jobs for local people. Thanks to the industrialization driven by industrial parks, Ethiopia's gross domestic product remained at a growth rate of about 10 percent between 2008 and 2017, creating an economic miracle on the African continent. As Ethiopia envisions building 15 industrial parks in the coming few years, it is estimated that the parks alone will produce more than 150,000 direct jobs. Meanwhile, free trade zones and industrial parks in Djibouti, Nigeria and South Africa also created jobs for local citizens and promoted the economic development of these countries. Being Africa's second most populous nation, Ethiopia has an abundant workforce. More than 70 percent of its 100 million population is estimated to be under the age of 30. As the East African country is exploring ways to realize its demographic dividend while transforming its agriculture-dominated economy towards a manufacturing hub of Africa, China's development model of industrial parks has been considered as an option. Currently, 15 industrial parks are in the pipeline across Ethiopia, most of which are being constructed by Chinese companies. Six of the industrial parks have officially gone operational in the past few years, attracting a large number of transnational companies from China, India, South Korea and other countries. Ethiopia now exports shoes produced by Huajian to European and American markets, while many of the taxis on the streets of the Ethiopian capital and other cities are assembled by Lifan Motors. The EIZ is Ethiopia's first industrial zone and has inspired the government to establish more such parks in the country. "These industrial parks are vital elements of the infrastructure supporting the structural transformation in Ethiopia that can attract institutional investors," said Costantinos Bt. Costantinos, an economic advisor to the African Union (AU) and the United Nations Economic Commission for Africa (ECA). Costantinos told Xinhua that industrial parks have been built in many countries which believe these parks will bring about employment opportunities and revenues. "As IMF (International Monetary Fund) chief Christine Lagarde said at the Eastern Industrial Park in Addis, 'I saw the dynamism and enthusiasm of the people working there and the commitment of private investors to Ethiopia.' This is extremely encouraging," said Costantinos, who is also a professor of public policy at the Addis Ababa University in Ethiopia. Besides Ethiopia, Djibouti, Kenya, Nigeria and South Africa, Chinese-built industrial parks and free trade zones, which are key to attracting investors, have taken root in many other African countries. 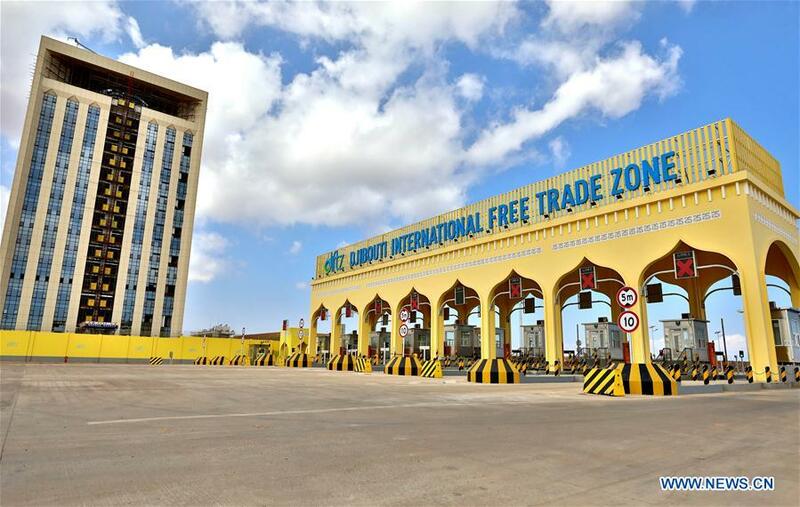 The Chinese-built international free trade zone was inaugurated in July in Djibouti, a country with a population of nearly 1 million. At the construction site of the free trade zone, a tall modern office building has been erected. Some 70,000 square meters of warehouses and 65,000 square meters of storage yards have also been completed. With a planned construction area of 48.2 square km, the free trade zone occupies one-tenth of the country's available land area and has attracted more than 20 companies that have decided to settle in the zone. In the Western African nation of Nigeria, the construction of the Lekki Free Trade Zone is also in full swing. The free trade zone is invested, constructed and operated by the Lekki Free Trade Zone Development Company. The zone incorporates, among others, oil and gas warehousing, furniture manufacturing, garment production, trade logistics, engineering construction services, industrial real estate, automobile assembly, steel structure processing and manufacturing, steel pipe production, daily necessities and other industries. South Africa is an important platform for investors to enter the African market because it is one of the most developed countries in the region. In 2013, Chinese consumer electronics company Hisense and the China-Africa Development Fund teamed up to inject 383 million South African rand (about 33 million U.S. dollars) to build a home appliance industrial park in the Atlantis area, about 50 km west of Cape Town. Latest statistics show that the TV sales market share of Hisense in South Africa has reached 25.1 percent, ranking first in the market. It is followed by refrigerator sales which account for 24.2 percent of the total market share. As of July 2018, its annual TV production capacity is about 400,000 units, while the refrigerator production capacity is about 400,000 units annually. Ebrahim Rasool, chairman of South Africa's ruling African National Congress (ANC) Western Cape campaign team, hailed Chinese investment in the park. The mutually beneficial cooperation between China and South Africa in the park has impressed everyone, Rasool said.